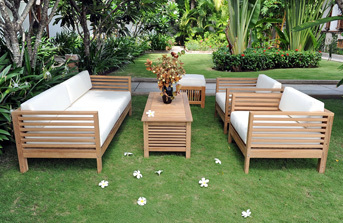 Hiep Long Company produces tables, chairs, sunloungers, trolleys... for garden, swimming pool, bathroom, tourist boat with teak wood. This kind of wood contains high natural teak oil; protect the furniture from wood-worm eating and severe weather conditions. We also combine teak wood with other material such as stainless steel, aluminum, iron, textilene... to diversify our products. 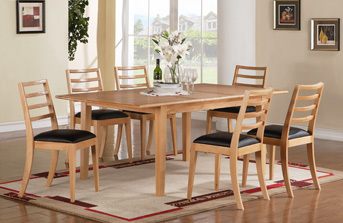 We produce indoor furniture for dining room, bathroom, bedroom, kitchen cabinet, door,... with beech wood imported from Europe. This kind of wood has bright color and stable for using. Our designers create many different ranges of products: classic, modern or combine both to meet all demands of customers.